Want to travel overseas but have limited time? 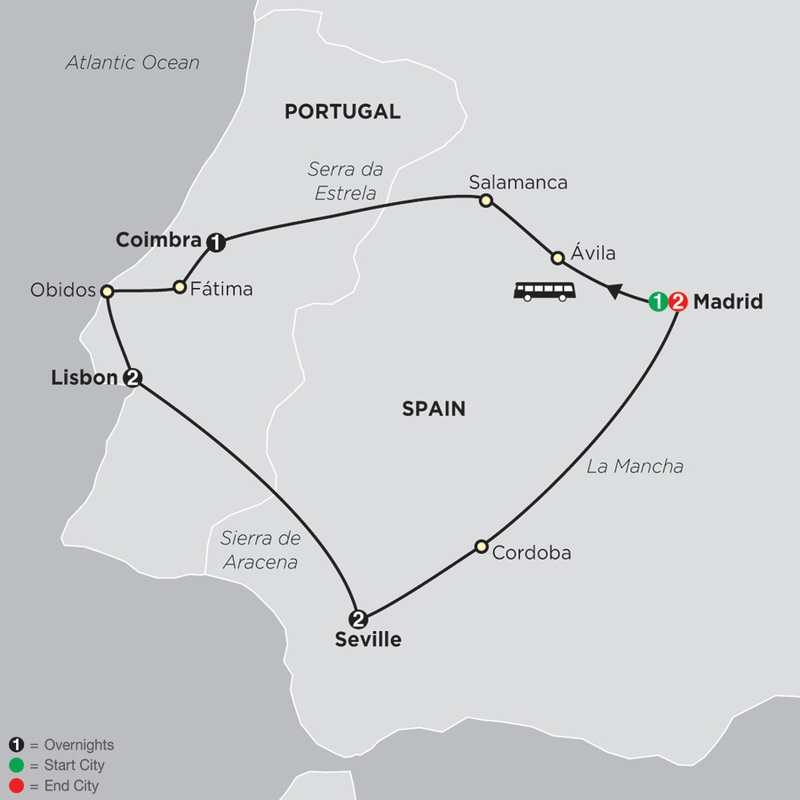 Traveling on weekends, you can experience some of Europe’s and Africa’s most fascinating destinations in just a week. Cosmos offers affordable, shorter vacations to exciting places - and with Cosmos, you never have to compromise. 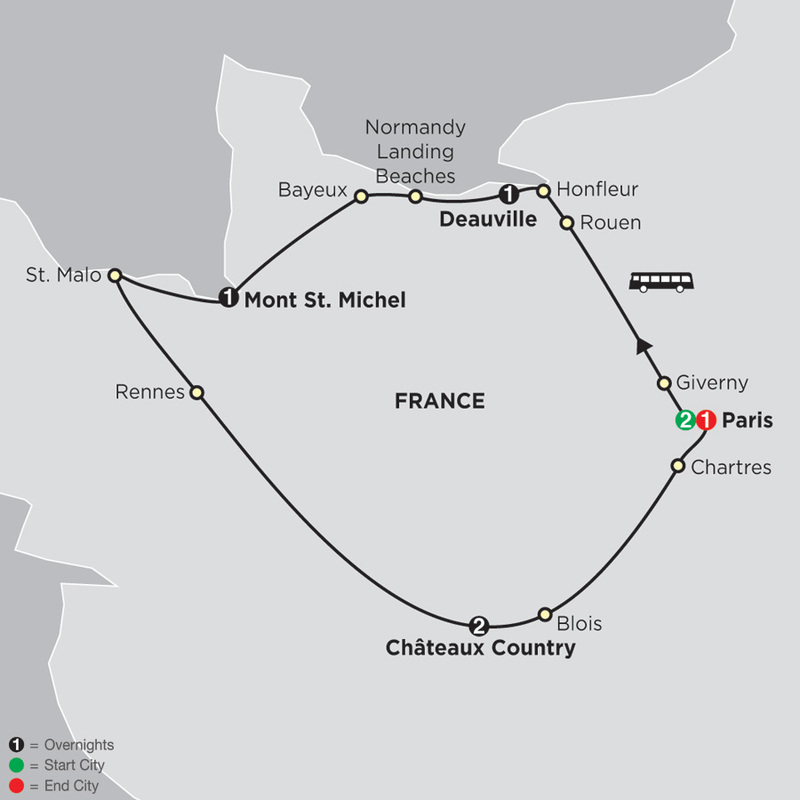 On Cosmos escorted tours, you’ll see the sights and have time to explore on your own. So pack your bags and discover the destinations of your dreams. On this splendid Central Europe tour, you’ll discover the former Habsburg Empire. Your tour starts and ends in Munich. Along the way, you’ll overnight in some of Central Europe's most exciting cities: Prague, Vienna, Budapest, and Salzburg. In Prague, Vienna, and Budapest, join ...Read More. Breathtaking, lush landscapes combined with vibrant cities and historic attractions—all of this and more await you on this Irish Discovery tour, including Northern Ireland. 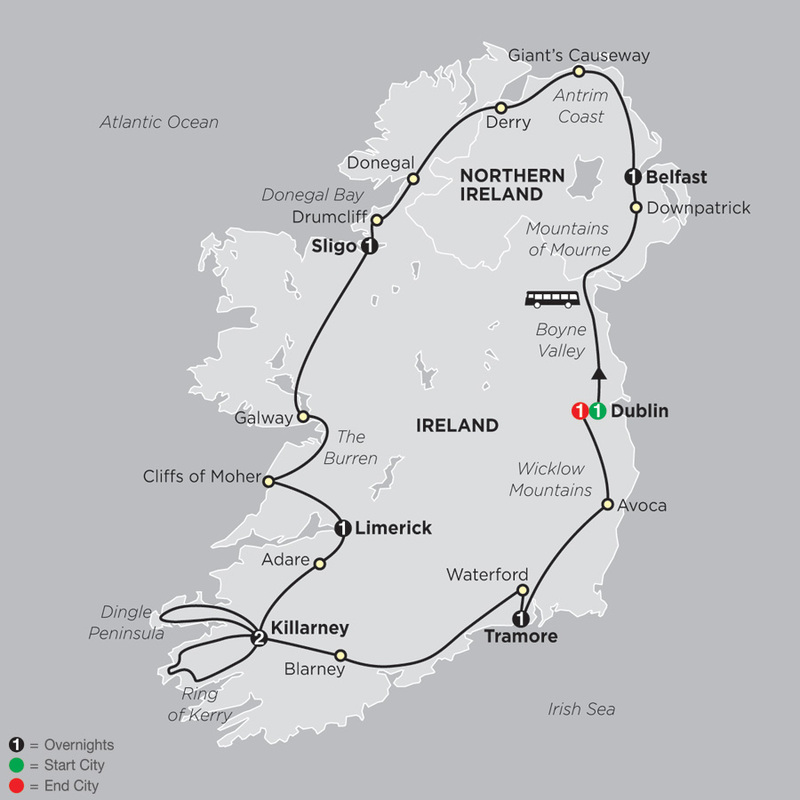 Starting and ending in Dublin, explore Ireland in depth and hear exciting stories of its rich history, ...Read More. 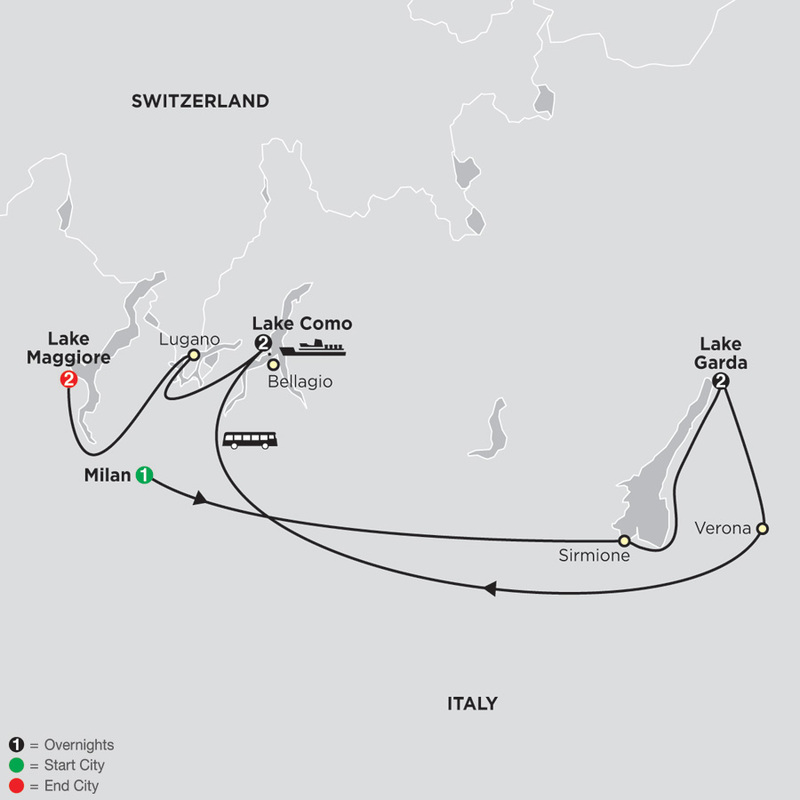 Discover the beauty of the Italian Lakes on this magnificent vacation. With the Alps for a backdrop, you’ll enjoy nature at its finest—with overnights in Lake Garda, Lake Como, and Lake Maggiore. Plus, on this affordable Italian Lakes tour, you’ll spend one night in Milan, known ...Read More. A rich cultural heritage, fascinating history, and beautiful landscapes make Poland an interesting place to discover. 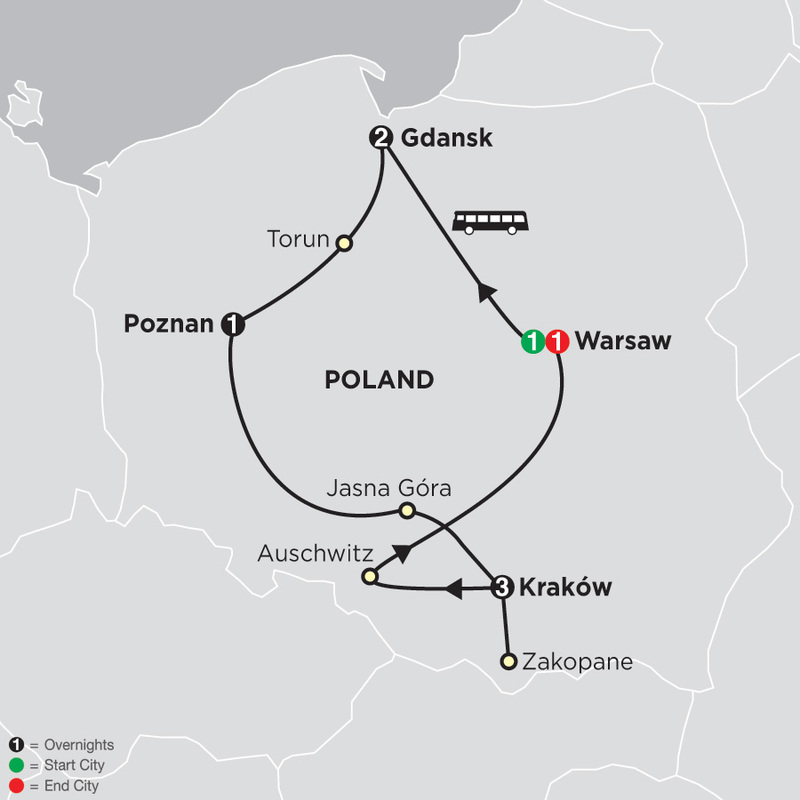 On this Poland tour, you’ll spend two nights in Warsaw and Gdansk, three nights in Kraków, and one night in Poznan. Along the way, learn about Poland’s history ...Read More. 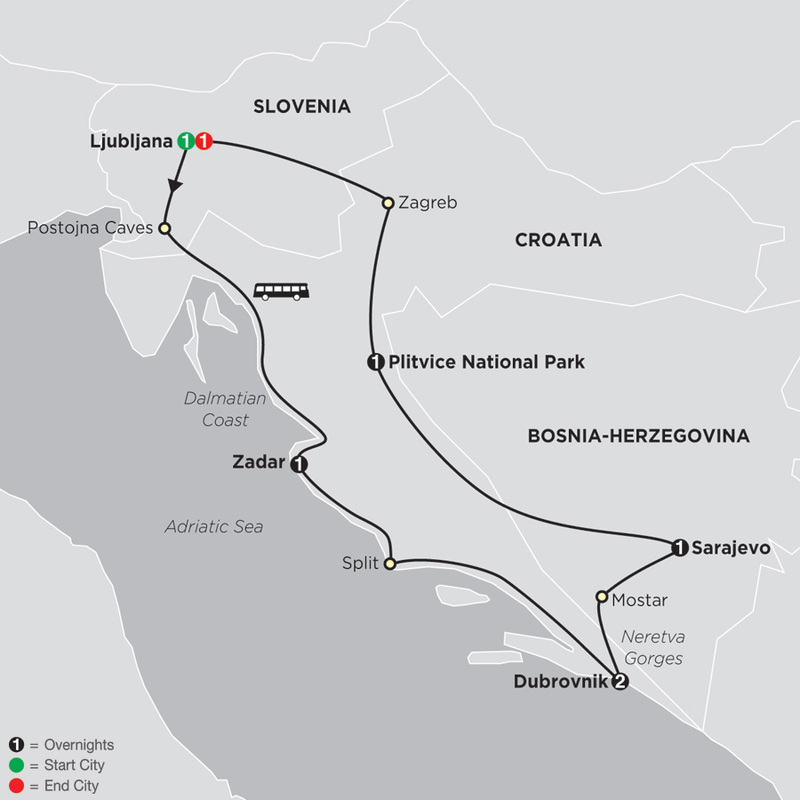 Spectacular natural scenery, historical sights, and exciting cities await you on this fantastic tour through Mediterranean Eastern Europe, including Croatia, Bosnia-Herzegovina, and Slovenia. If you’re fascinated by beautiful views, this Eastern Europe tour will delight as you ...Read More. 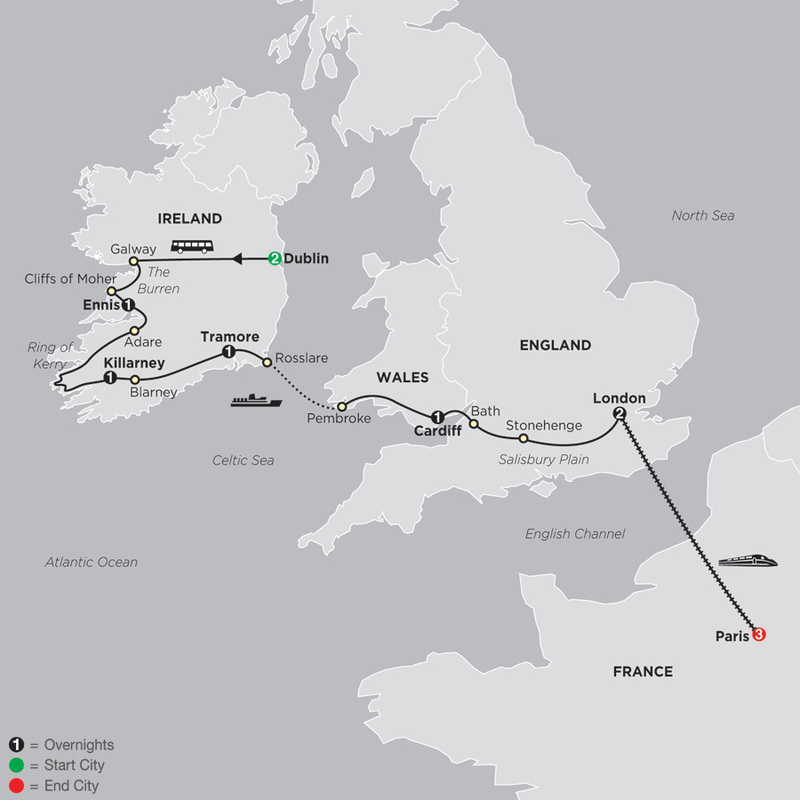 Stunning scenery, pretty villages, ancient sights, and exciting cities—this Britain and Ireland tour offers all of this and more. 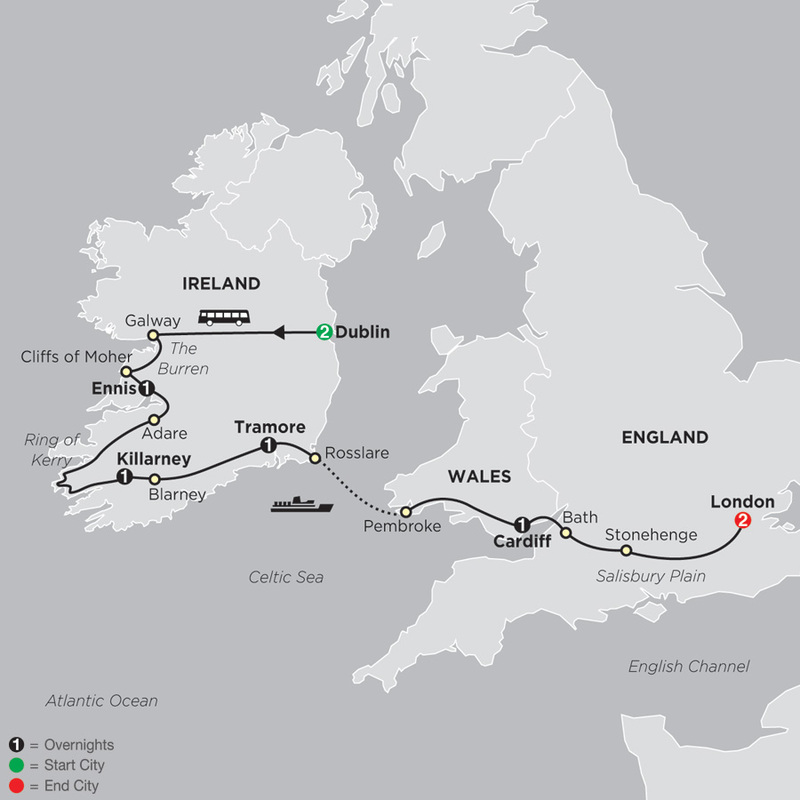 Your tour starts in Dublin, Ireland’s fun capital; ends in London, England’s exciting capital; and overnights along the way in Killarney, Tramore, ...Read More. You’ve dreamed about Italy—its magnificent architecture, majestic cathedrals, ancient ruins, world-class art, sumptuous cuisine and wine, and relaxing cafés—and now it is your time to experience it. On this affordable Italy tour, explore its most famous cities and discover its ...Read More. Rome, Sorrento, and Capri—three of Italy’s most popular cities are waiting for you on this grand Southern Italy vacation. 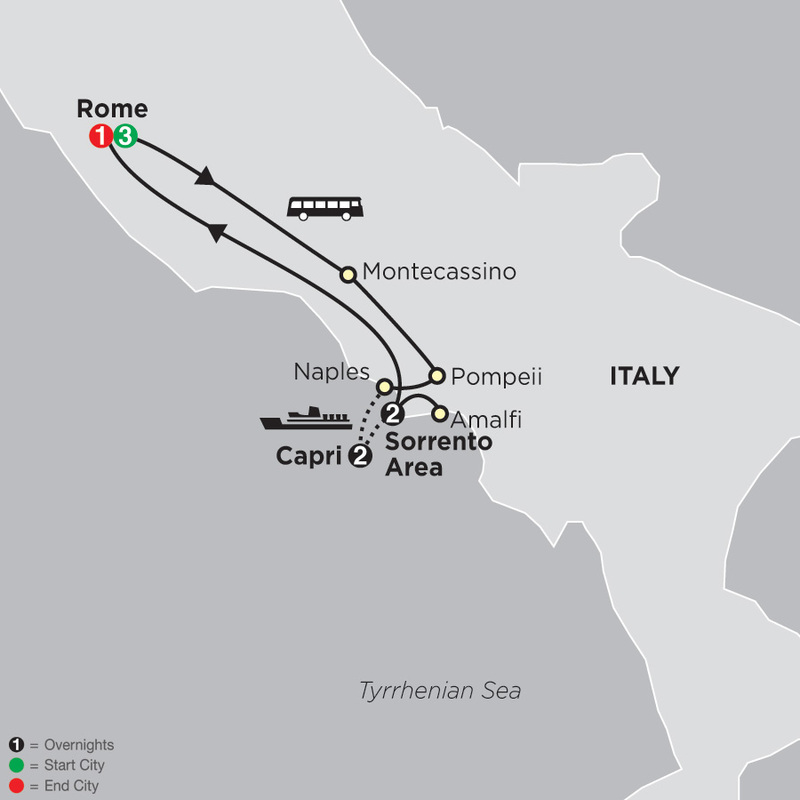 Spend four nights in Rome and two nights each in Capri and on the Neapolitan Riviera. 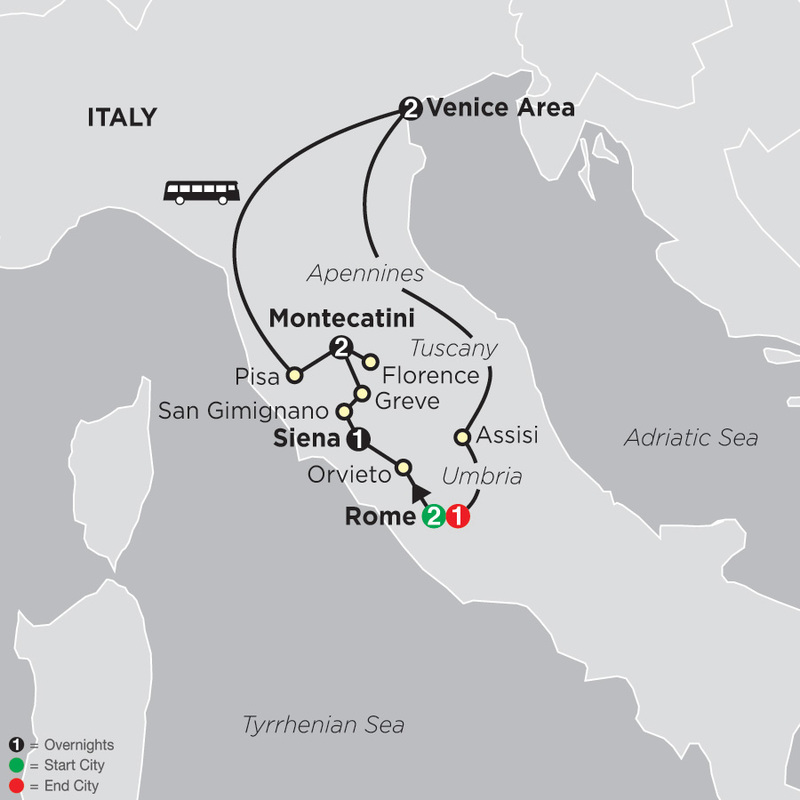 Explore Italy’s southern charms at a leisurely pace to discover ancient ...Read More. With its unspoiled scenery, majestic peaks, fascinating old towns, sparkling lakes, rich history, and cities with a cosmopolitan flair, Switzerland is the perfect vacation offering something for everyone. 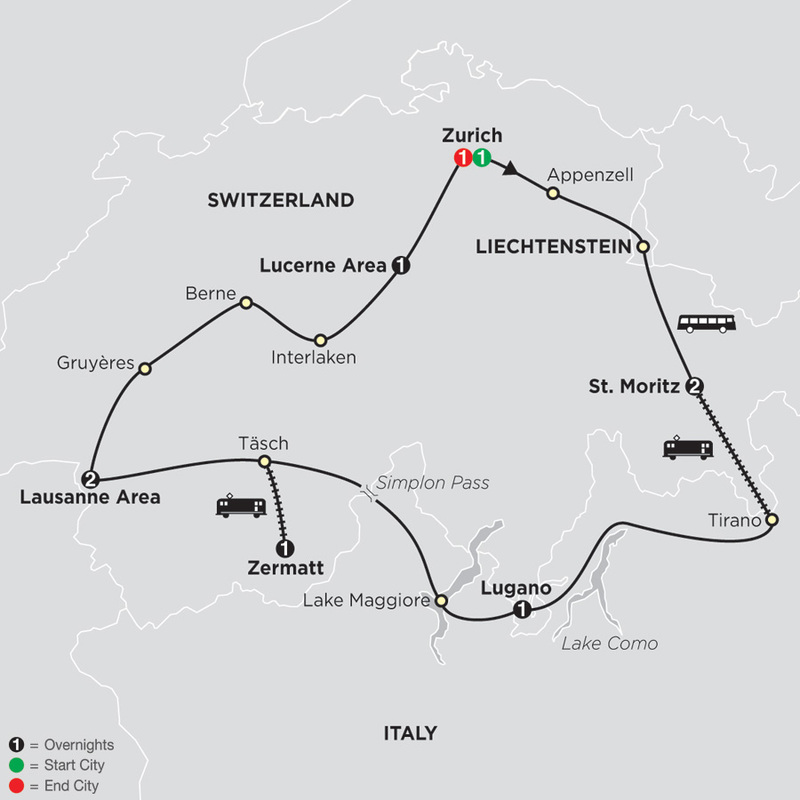 On this Switzerland tour, you’ll experience some of its most beautiful ...Read More. This Scenic Switzerland by Train tour is the perfect way to see Switzerland’s breathtaking mountains, charming mountain resorts, fascinating old towns, and beautiful lakes—all while you relax in first-class aboard Switzerland’s famous trains. 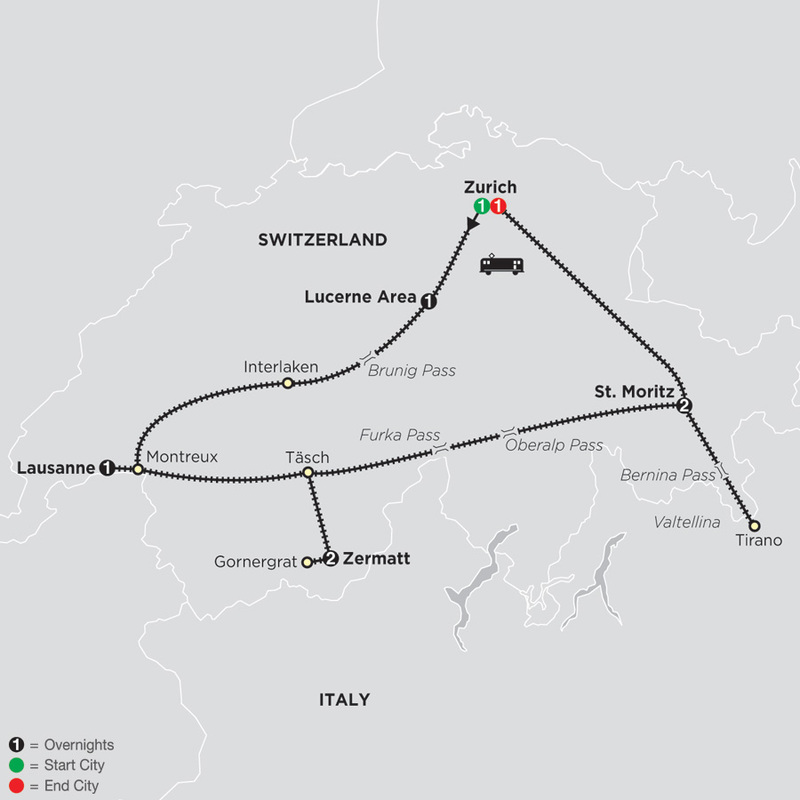 You’ll overnight in Zurich, the ...Read More. Italy and Greece are countries steeped in history with a treasure trove of ancient sites and scenic beauty. 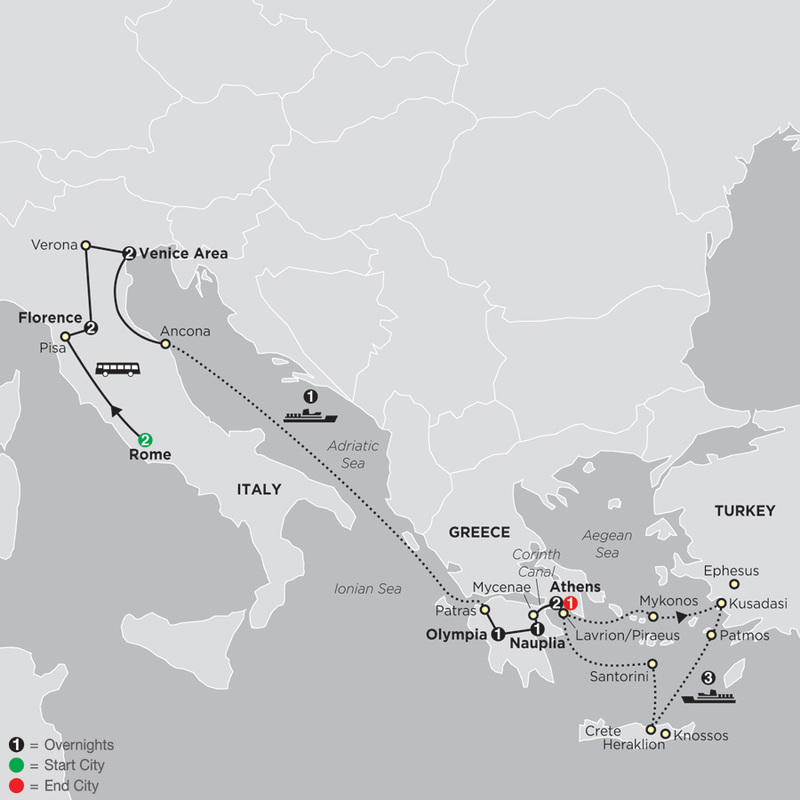 On this affordable Italy & Greece tour, you’ll see the highlights of what these countries have to offer, starting in Rome and ending in Athens. In Italy, you’ll stay in ...Read More.